From a single event in London just nine years ago, Soapbox Science is now an international occasion for women to talk about their science and how they got to where they are today. Helen Metcalfe is putting on her lab coat this Saturday lunchtime, 30 June, and mounting a soapbox in the middle of a busy shopping centre to talk about her work with weeds and about her journey to a life in agricultural science. 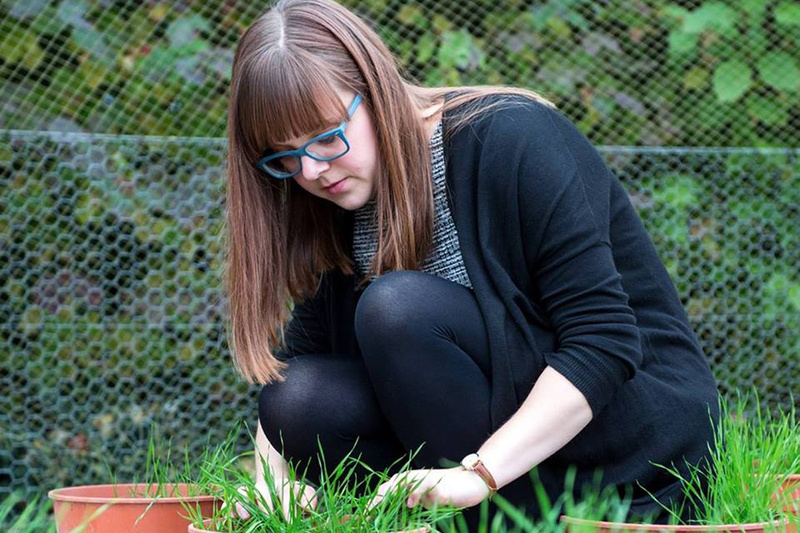 Helen is a postdoctoral research scientist working at Rothamsted Research where she creates models of ecosystems to understand the effects of farming practices on the environment. On Saturday, she is one of a dozen women at the annual Soapbox Science event in Milton Keynes shopping centre, each talking for an hour from four points in Middleton Hall between Noon and 3pm. Other topics range from astrobiology to recycling, from aerodynamics to child development. On her soapbox, Helen will be talking about her work with weeds, and why they are not always the bad guys, just in the wrong place at the wrong time. “Some weeds support wildlife on farms, which encourages a more diverse ecosystem and can bring benefits to farmers too,” she says. Soapbox Science was started in London in 2011 by two women, Nathalie Pettorelli, now a Senior Research Fellow at the Institute of Zoology, and Seirian Sumner, now a Reader in Behavioural Ecology at University College London. In 2014, the programme expanded to three extra locations, in Dublin, Swansea and Bristol; in 2015, there were 10 locations in the British Isles; by 2017, there were 19 events in five counties; and this year, there are 26 events across the globe, including Australia, Canada, Germany, Sweden and the US. Nearly 600 scientists have taken part in Soapbox Science since 2011, and more than 50,000 people have attended the events. In a survey in 2014, nearly three quarters of those questioned thought it was important to know how science affected their lives, and nearly as many wanted scientists to spend more time discussing the social and ethical implications of their work.